The New York Times best-selling author returns to the world of Mistborn with his first audiobook in the series since The Alloy of Law. 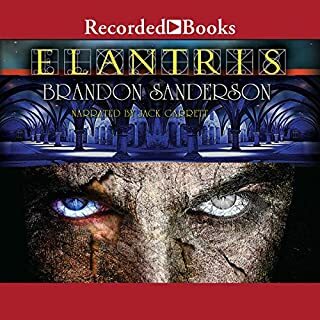 With The Alloy of Law, Brandon Sanderson surprised listeners with a New York Times best-selling spinoff of his Mistborn audiobooks, set after the action of the trilogy, in a period corresponding to late 19th-century America. The trilogy's heroes are now figures of myth and legend, even objects of religious veneration. They are succeeded by wonderful new characters, chief among them Waxillium Ladrian, known as Wax, hereditary lord of House Ladrian but also, until recently, a lawman in the ungoverned frontier region known as the Roughs. There he worked with his eccentric but effective buddy, Wayne. They are "twinborn," meaning they are able to use both Allomantic and Feruchemical magic. 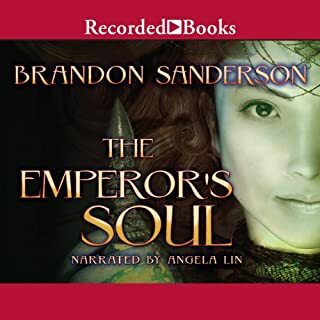 Shadows of Self shows Mistborn's society evolving as technology and magic mix, the economy grows, democracy contends with corruption, and religion becomes a growing cultural force, with four faiths competing for converts. This bustling, optimistic, but still shaky society now faces its first instance of terrorism, crimes intended to stir up labor strife and religious conflict. Wax and Wayne, assisted by the lovely, brilliant Marasi, must unravel the conspiracy before civil strife stops Scadrial's progress in its tracks. 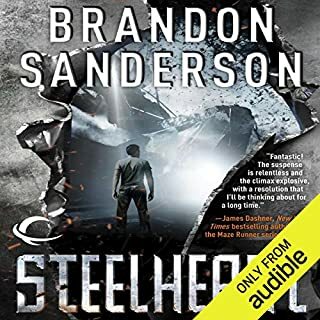 Shadows of Self will give fans of The Alloy of Law everything they've been hoping for and, this being a Brandon Sanderson audiobook, more - much more. In the original epic fantasy trilogy, “Mistborn,” we were introduced to a roughly eighteen or early nineteenth century dystopian world called Scadrial. It is a world separated into two classes; the nobility and the commoners, called the Skaa. The world has several magic systems the most prominent called Allomancy. Allomancy allows users to gain magical powers by swallowing and "burning" specific metals. These users manifest in two forms: those who can use one of the Allomantic powers, known as Mistings; and those who can use all of the Allomantic powers, known as Mistborn. It was a complex world where the lower class struggled under the subjection of the nobility and the rise of several heroes that attempt to topple the current state of oppression. Three hundred years later, after the hero’s in the first three books had become myths and legends, “The Alloy of Law,” began and we were introduced to Waxillium Ladrian, known as Wax, hereditary Lord of House Ladrian but also a lawman in the ungoverned frontier region known as the Roughs and a rare “Twin born;” someone that can use two Allomantic powers. In “The Allow of Law,” the world of Scadrial was on the verge of modernization with railroads and electric lights but the old magics of Allomancy and Feruchemy continued to play a role in the re-born world. This was originally intended as a standalone book but now Brandon Sanderson has decided on a double trilogy; yes. Now “Shadow of Self,” continues to follow Wax and his friends. They are now out of the Roughs and back into the urban city. The society is evolving as technology and magic blend. It is a growing democratic civilization with an optimistic economy that is suddenly confronted with urban terrorism and a conspiracy to stop Scadrial’s progress in its tracks. Wax and his friends must find the culprits responsible before the entire society collapses. About the narrator; of course Michael Kramer’s performance is spectacular. This series is one of my favorite ever and am looking forward to the next, and final, book. I don't mean to be contemptuous with that heading. I like Sanderson. If you have read him before, and you like his stuff, you will probably like this too. It pretty much follows his style to the letter. You get bombastic, magically powered fights. These fights are very technically described. You get likable heroes that face a present, yet not insurmountable, personal conflict of some sort. In this one, the hero is driven by the memory of a dead past lover, making it a bit of a derivative Mistborn sequel. However, he does bring in this theme of a benign, but meddling god, which is kind of fun. My one big gripe is that Wax, is kind of a boring protagonist. Sure his fights are awesome, but all the color is in the people around him. This novel really made me want to see Wayne have his own spin off. Growing up reading the wheel of time and thinking it would never be finished was heartbreaking. When Sanderson was revealed to be the writer Harriet chose to finish it I had to find out what I thought of his work. So I bought Mistborn. The trilogy blew my mind, took me about two days to read all 3. years later after reading everything I could get my hands on I finally read Alloy of Law. Wax and Wayne were a fantastic team that had me grinning half the time and enjoying the speculation of twinborns with a friend. Shadows of Self was another great sequel. I always enjoy Michael Cramers audio performance and the plot and twists are amazing. Once again Sanderson blows my mind with this lovable duo and I eagerly await the next book. 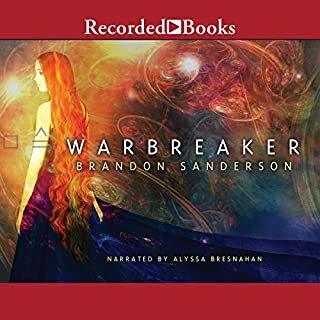 Thankfully it's already written xD if you enjoy the world Sanderson has created in his Mistborn novels then you'll love this new edition and I would highly recommend it. fantastic look into the mistaken world! 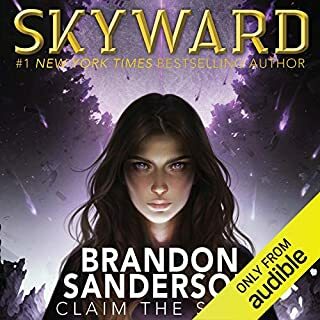 I love everything Brandon writes, and Michael Kramer's voice is a Welcome addition to any story! I loved the mist born series, this one was by far the most boring in the series. unfortunate. Really preferred the first book of this series. Much clearer story line and direction. Shadows of Self felt jumbled, at times directionless and lack of a clear story line. Very unlike the author ---muddled and aimless. Performance by narrator kept me listening hoping to get back on some type of cohesive story. This was sadly a waste of an Audible credit. Brandon continues to excel in writing novels that both entertain and capture a sense of adventure. A number of unforeseen plot twists and the wonderful snarky humor of his sidekick Wayne who provides a nice zany touch. I particularly enjoyed the interaction between the main 3 female characters, one kindred spirit bounty hunter, one determined and extremely competent constable and one very reserved but with finely tuned aristocratic social skills. Lastly, as I've come to expect, Michael Kramer again did a superb performance with the narration. Absolutely Amazing! Brandon Did It Again!!! 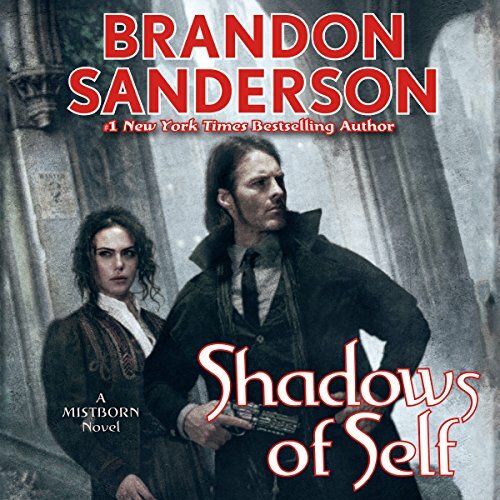 Shadows of Self, its an amazing addition to the Mistborn series. As I red the whole series again lately I found so many interesting things in the book, but even if i didn't, it would have still been amazing.... 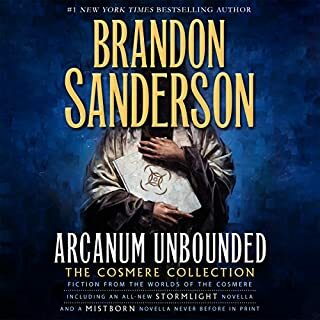 I thought this addition will be similar to the previous one "Alloy of Law", but again Brandon Sanderson does something unexpected. and the way the book ended made me feel confused and other feelings , which I won't say as I don't want to ruin it. So many good characters and funny ones. Wax and his partner are a great team, and I'm so glad that the next book is ready and will be release soon. Because I can't wait to see what will happen next. It's going to be amazing. Shadows of Self is a very entertaining listen. I love the character Wayne. He is so hilarious. The main character is Wax but Wayne is the star of these books. I love the writing of Brandon Sanderson, he is so good at combining humor and action. The only reason I didn't give this book 5 stars is because of some questions I had with some of the things that certain characters were able to accomplish which, from reading the entire series, I am not sure they should have been able to do. Plus an important plot point that isn't siting well with me. I need to go back and listen to the previous book again. Besides those few gripes I loved this book, and I am likely to re read this book again in the future. I highly recommend Shadows of Self to all fantasy fans. I would recommend reading book 4 first, because you need some back story before reading this. You don't need to read books 1-3 first but you should at least read book 4. Although I highly recommend all the Mistborn novels.